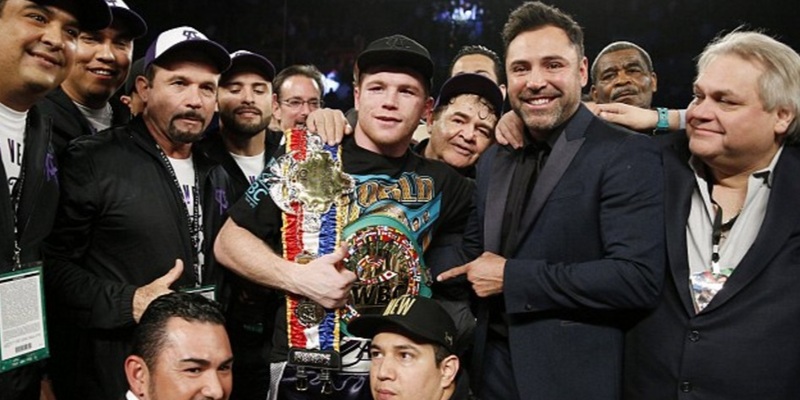 Canelo Alvarez became the new WBC World Middleweight champions after beating Puerto Rican legend Miguel Cotto with an Unanimous decision at Mandalay Bay, Las Vegas. 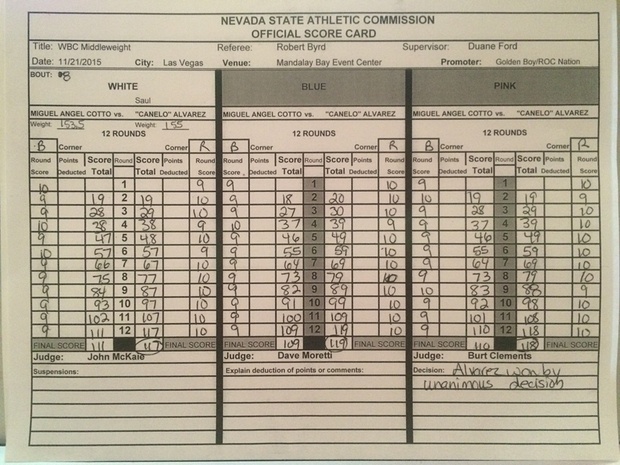 Official scorecard by the judges does not paint the full picture as the awarded an easy decision win for Canelo. 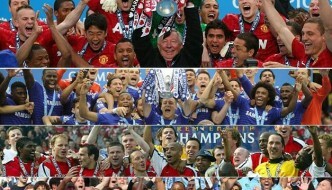 In reality fight was much closer and could have gone either way. This was a massive victory for Canelo Alvarez who was asked after the fight whether he will face Gennedy Golovkin in the future to which he replied he will fight anyone anywhere. But we can safely assume that will be a very hard fight to make first because the weight issues and than who will be the A-side. But that is for later, right now we need to congratulate Canelo for winning this mega fight. 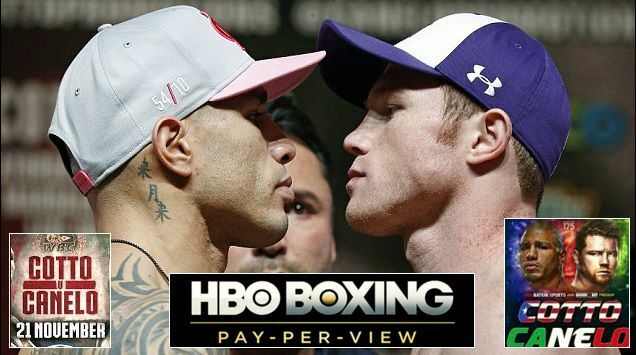 Cotto fought well at times but lacked power and stature and Canelo’s youth earned him relatively easy win. Canelo Alvarez absolutely cruised to the unanimous decision win against Cotto. 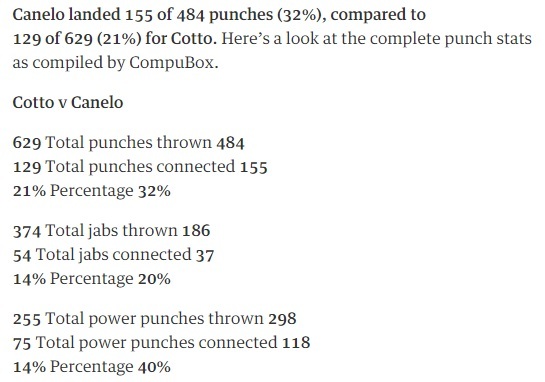 Cotto did bring his “A” game but he was simply not good enough against much younger and heavier Canelo who landed more shots in less punches thrown compared to Cotto. Cotto seemed to have tired or lost his way after the 7-8th round and failed to put Canelo under constant pressure. 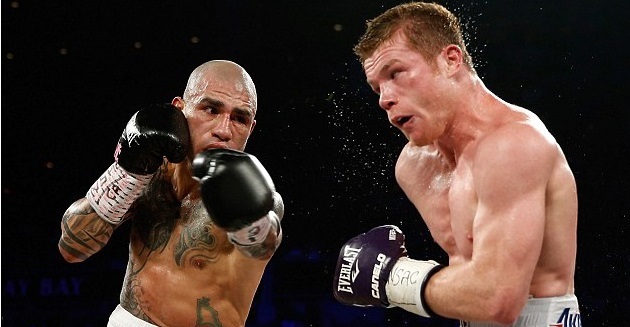 Canelo handled Cotto’s movement with ease and always had that power punch which hurt Cotto. Immediately after the fight people started talking about another mega fight between Canelo and Golovkin which will surely happen but not before 2017 due to intense boxing politics. Absolute superb stuff from Canelo who can only go onto bigger and better things at such young age. He is widely tipped to replace Floyd Mayweather for the new PPV King in the United States. A fight against Golovkin will surely be the biggest in boxing at the moment. Both fighters are coming into this fight on the back of a good wins, Cotto destroyed Daniel Geale to defend his WBC middleweight back in June while Canelo Alvarez produced one of the most brutal knockout of the year when he smoked James Kirkland back in May 2015. That knockout win for Canelo combined with the snore-fest of Mayweather-Pacquiao kind of put Canelo Alvarez name back in the top PPV stars and this is his chance to replace Mayweather Jr as the new Boxing PPV star. The fight will take place in Mandalay Bay, Las Vegas on Saturday, 21 November 2015. The undercard fights are schedule to start at around 08:00 pm ET / 05:00 PM PT in the United States with HBO broadcasting the fight live via PPV. UK boxing fans can also watch the fight live through BoxNation channels (monthly subscription available 12GBP). I had it closer 7-5 Canelo. He had the more powerful shots and he hurt Cotto a few times, Cotto never hurt Canelo, but he did have a better jab. Two good fights it was a great night for boxing. It was a closer fight than what the judges scored, but still Canelo won.